We made these awesome favors using perler beads. If you've ever used them before, it's pretty easy to figure out. If not, you can get a starter kit at any craft store and follow the instructions. We made ours using 3 shades of green and black beads. 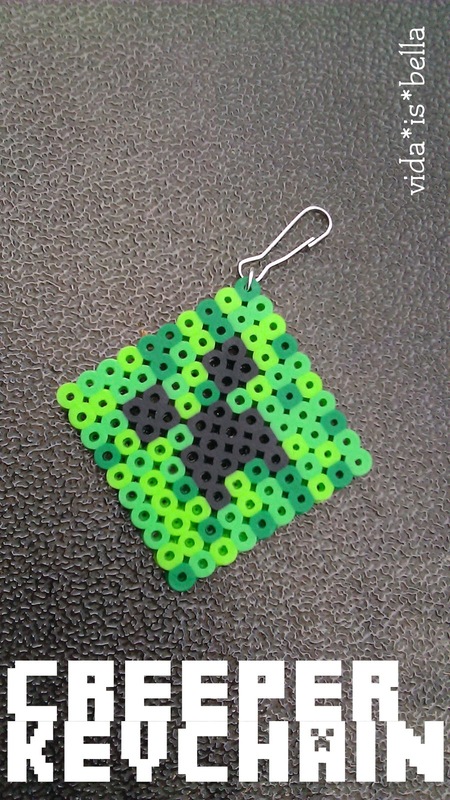 Each kid got to take home their own creeper key chain in their goody bag. That's wonderful! Careful with the hot iron around kids.